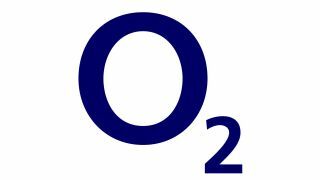 O2 has joined Vodafone in speaking out about Ofcom's decision to allow Orange and T-Mobile to roll out 4G earlier. "This decision undermines the competitive environment for 4G in the UK." CEO Ronan Dunne recently stated that the increase with 4G would lead to a 30 times increase in capacity, meaning more reliable and consistent speeds for consumers. Interestingly in the same blog he also confirmed O2 has begun to finalise its 4G tariffs for when the network can finally roll out the service – while most networks are obviously working on this, the confirmation of completely new tariffs shows that networks will need some strong consumer education on how 4G will fit into their lives… and how they'll have to pay for it. Whether Orange and T-Mobile, running under the Everything Everywhere banner, does get an advantage remains to be seen – on the one hand, it will be synonymous with superfast speeds, but on the other it bears the risk of trying to convince users to pay more for a service they may not understand. The spectrum auction to allow other networks to buy the airwaves needed to deploy 4G should begin in early 2013 – so it will be interesting to see how the other networks manage in the meantime.